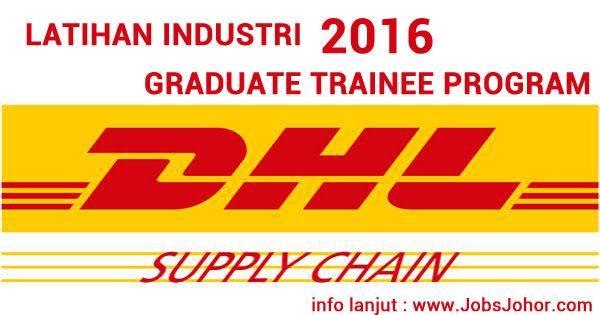 DHL Supply Chain Johor membuka jawatan kosong Graduate Trainee Program di Johor 2016 ini. Sesiapa yang berminat dan berkelayakan diminta untuk memohon secara online. The successful candidate will experience a comprehensive, engaging and structured 12 months training program. Upon satisfactory completion of 12 months program, the successful candidates will be offered career in DHL Supply Chain. - Possess a recognized Degree in Logistics/Supply Chain. - Management/Engineering/Accounting/IT qualifications, with CGPA of not less than 3.0 or Second Class Upper. - Graduates with less than 2 years experience are encouraged to apply. - Fluent in English and Bahasa Malaysia. - Strong leadership qualities with excellent communication and interpersonal skills. - Active in extra-curricular activities. - 8 Full time positions available. Tarikh tutup permohonan : 26 Februari 2016. 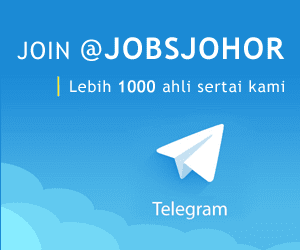 Sumber rasmi iklan jawatan Graduate Trainee Program DHL Supply Chain Johor dan permohonan online, silk layer lama web JOBSTREET disini.